I read Becky Albertalli's Simon vs. the Homo Sapiens Agenda—the YA book that Love, Simon is based on—a couple of years ago for FYA Book Club, and I loved it. It's a super sweet, funny coming-of-age novel about a young man who isn't quite sure how to reveal to the world that he's gay. And from the moment I heard that it was going to be a movie, I was on board. Hesitant, because it's such a great novel, and we all know how adaptations can go, but excited for Simon to get his day on the big screen. 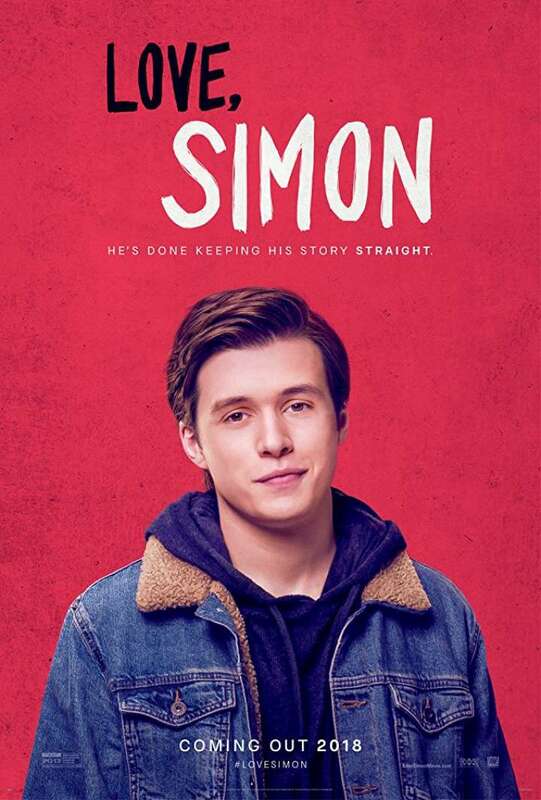 Happily, I can say that my hesitations were pretty much for naught, because Love, Simon is a fantastic adaptation—and an all-around delight of a movie. The movie is very reminiscent of romantic comedies of old, with a freshening up for today's audiences. (I've seen it described as John Hughes-ian, which I think is very apt.) It's cute and awkward (SO AWKWARD) in equal amounts, and you'll find yourself falling in love with Simon, his friends and his family from the very start. Nick Robinson—a current YA film go-to—is adorable as Simon. He's not a stereotype, and I think anyone can see their own early identity investigations in his, regardless of whether they're a young gay man. His struggles, while not universal, are believable and honest; they resonate. Simon's parents, played by Jennifer Garner and Josh Duhamel, are brilliant (even though it's somewhat hard to watch the two play parents) and are involved in some of the most moving moments of the movie. As Simon's email relationship with Blue (an anonymous guy at Simon's school who's also hiding the fact that he's gay) progresses, it's easy to get swept up in the romance of it all. You'll cheer, you'll shed a tear, and you'll be all the better for it. Definitely get to the theater to see this movie, and show the powers that be that representation matters! P.S.—I also highly recommend reading the book, but maybe not right before or after you see the film.